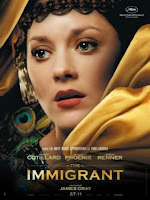 The first film of the day was James Gray's period drama "The Immigrant". Set in Manhattan in 1921, it tells the story of a Polish woman (Marion Cotillard) who makes the journey with her sister (Angela Sarafyan) to seek the American dream. Opening with the ultimate symbol of immigration (Ellis Island and The Statue of Liberty), the film's visual aesthetic is immediately captivating. Taking its cues from the autochrome photography of the period, the images have a yellowish hue (think "The Godfather") that projects a warm picturesque quality. In addition, the detailed production design adds an additional sense of romanticized nostalgia. This proves only to be a facade however, as the screenplay soon betrays this notion with its pervasive sense of loss and dread. As the sisters land on Ellis Island, one of them is detained due to illness and leaves the other (Cotillard) to fend for herself. 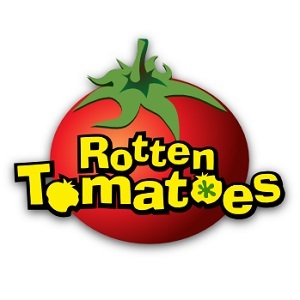 When her relatives fail to collect her, she gets released onto the dangerous Manhattan streets where she gets sucked into a prostitution ring, managed by a man named Bruno (played by Joaquin Phoenix). 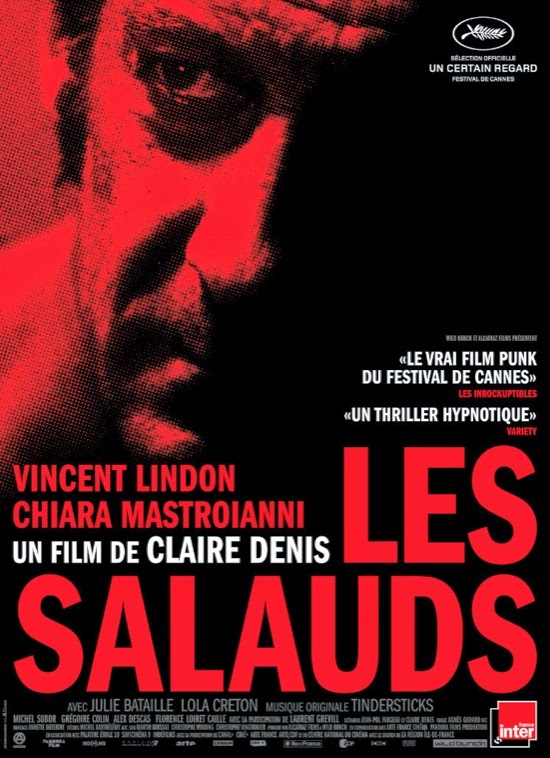 It's all very tragic and the film as a whole is very bleak. In deconstructing the naive idealism of hope, it can become quite an oppressive watch. At times, it leaves you feeling trapped, much like the title character. Even so, the director seems to want to distance himself from the sinister nature of the film's plot. Many of the seedy actions are left to be inferred by the audience and it therefore comes across almost too prudish. Especially Bruno's character, who is portrayed in a sympathetic light and thus seems to undermine the general tone of the film. By simply adding some more menace to his role, it would have likely made for a more powerful, harrowing film. Despite the seemingly dispassionate filmmaking at times, Marion Cotillard ensures that her lead performance keeps you intrigued. It's a complex role and she handles it with great skill. Her character is difficult to process and it's remarkable that she can so seamlessly transition through its widely alternating characterizations (pious, sensual, strong, weak, smart, foolish). Apart from the cinematography and production design, she's easily the film's strongest asset. There are some bravura scenes in particular where she delivers personal monologues about her character's journey and state of mind. It's the film's finest moments, with a perfect combination of assured direction, acting, writing, and audiovisual craft. The final film of the day turned out to be my highlight of the festival so far. The Chilean drama "Gloria" is a rich character study about an older woman named Gloria who is constantly in search of happiness through her daily relationships and life experiences. Headlined by the marvelous Paulina Garcia in the title role, we get a look at life in Santiago from her perspective. She's a free-spirit but is troubled by her loneliness. To remedy this, she frequents dance clubs, eventually leading her into a romantic relationship with a former naval officer (Sergio Hernandez). As we follow the trajectory of this relationship (as well as those with her relatives and friends), we are immediately drawn in to the actress's natural charms. She conveys such an affable spirit that you relish every second of the viewing experience. The film alternates between complex intimate drama and laugh-out-loud humour and is constantly compelling. Every situation in the script is genuine, sincere and ultimately poignant. The script is perfectly crafted to showcase Garcia, but she's supported by an equally gifted cast. Hernandez in particular is equally outstanding as her love interest. It's a testament to the quality of the writing that you could easily envisage a separate film dedicated to his character. 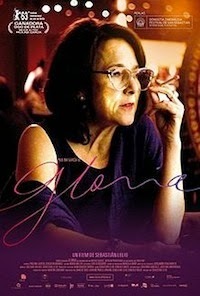 Gloria is a film that I originally had on my TIFF shortlist but somehow it fell through the cracks. Based on your review, I will have to check it out when it gets released. Yes, definitely go see it. So worth your time.